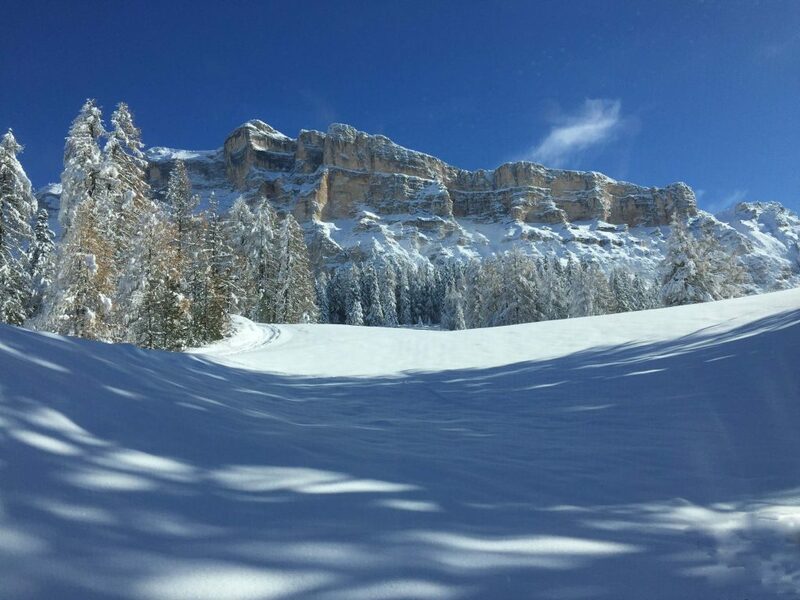 The ski area La Crusc / Santa Croce is the first ski area in Alta Badia to open the ski lifts on November 25th 2017. There is no more time left to the opening of the ski season and we are preparing for the opening of the ski lifts. 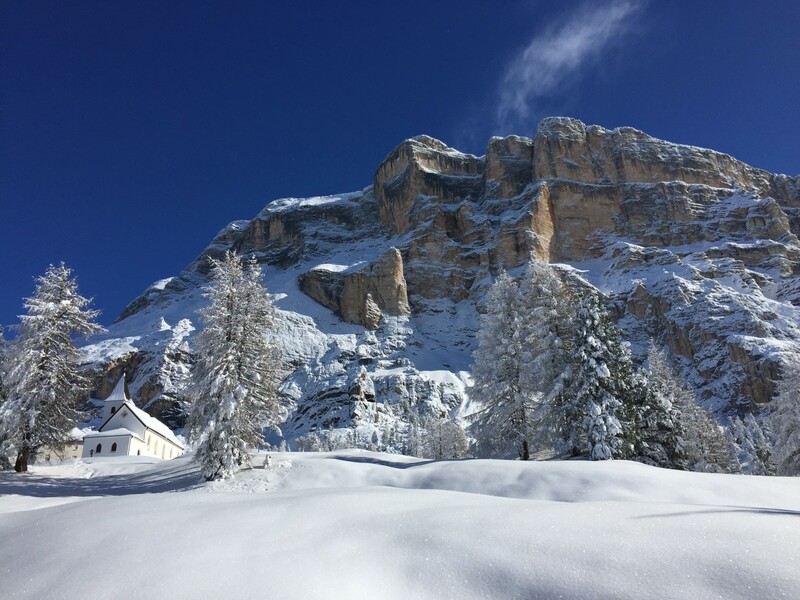 On the mountains there are more than 50 cm of natural snow; even the villages of Alta Badia now show a winter look. We can simply say: the landscape is a dream. The 4-persons-chairlift Santa Croce opens on November 25th, until the end of the season. The skilift Baby Pedraces opens the days November 25th and 26th. On Wednesday, November 29th and on Friday, December 1st the skilift will open from 1 p.m. From December 2nd onwards the skilift will be open the hole day until the end of the season. 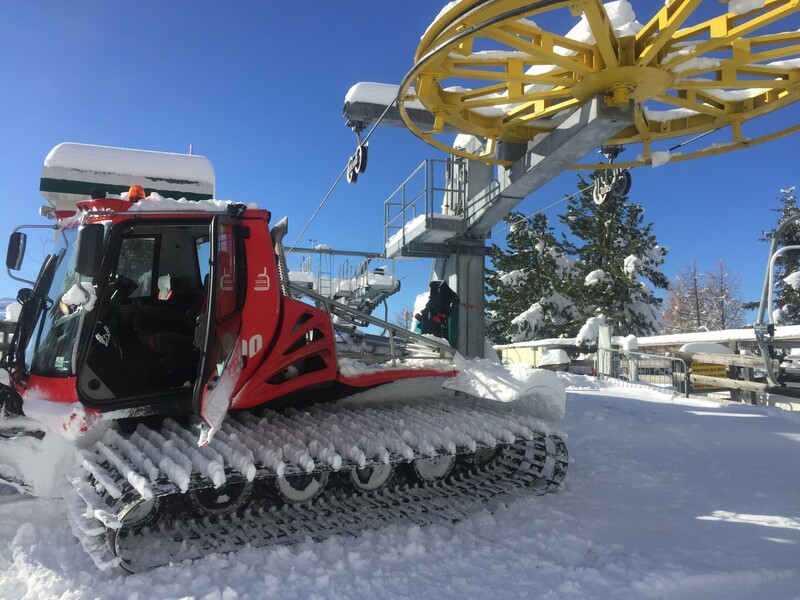 The 2-persons-chairlift La Crusc that leads to the church of La Crusc/Santa Croce will open on Saturday, December 2nd. The ski connection with La Villa will be active from Saturday, December 2nd, too. 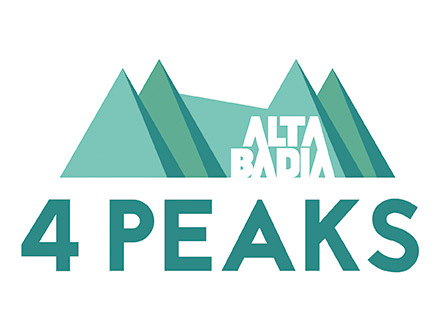 The skipass office Badia will open on Friday, November 24th, from 4 p.m. to 6 p. m. In the days from November 25th until Friday December 1st the opening time is from 8,15 a.m. to 4 p.m. From December 2nd onwards the skipass office is open from 08,15 a.m. to 5,30 p.m. The Skischool Badia Pedraces organizes toghether with the ski rental Skiland a “Skiing day for you”. Children can have ski courses and get the ski equipment for free. Prenotations: Skischool Badia Pedraces – tel. 0471 839648. During the month of November, a beautiful snow-base on the ski slopes was created. The low temperatures allowed to produce snow not only during the night but also during the day. 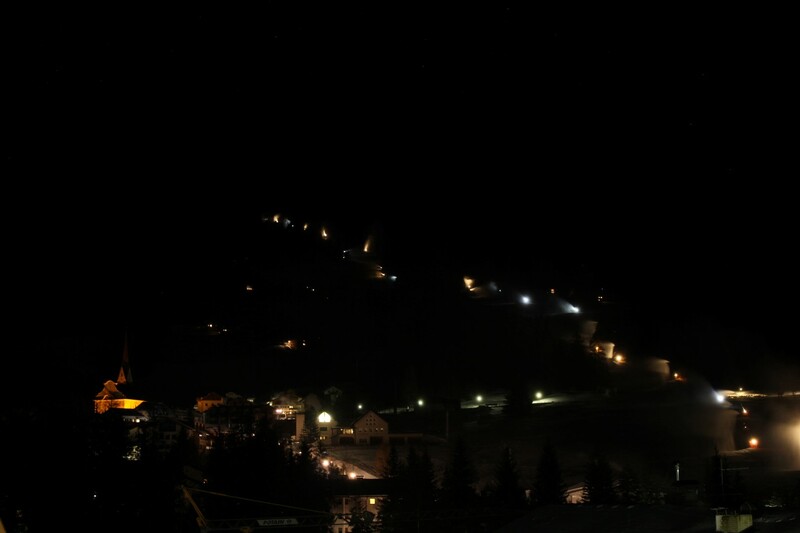 If you look at night at the ski slope from the other part of the valley, you can see exactly the route of the slope, from San Leonardo/Badia to Santa Croce, lit by the lights of the snow machines … it looks like a torchlight. The church of La Crusc/Santa Croce (mt. 2045), with its white coat, has an idyllic appearance. The panorama at the foot of the mountain Sas dla Crusc (Sasso Santa Croce), belonging to the UNESCO World Heritage Site, is a new emotion every season.